Buy Natural by Nature lemongrass essential oil - 10ml in the UK from our online shop or directly from our independent Scottish store. Lemongrass (Cymbopogon citratus) essential oil from the grass. 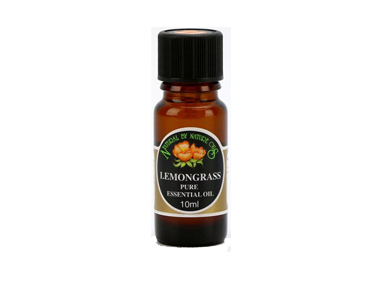 Natural by Nature's Lemongrass (Cymbopogon citratus) essential oil is from the grass. Lemongrass essential oil is excellent when used as a deodorizer for the feet and a good oil to use in a burner to get rid of strong unpleasant smells. Use this oil in a lower concentration when used on the skin. (Not recommended for the face). It has a lemony sherbet aroma. Where can you buy real Lemongrass Essential Oil 10ml safely online? If you are wondering where you can buy Natural by Nature lemongrass essential oil - 10ml safely online in the UK, then shop with us. Lemongrass Essential Oil 10ml - Natural by Nature lemongrass essential oil - 10ml in Essential Oils and Aromatherapy.